Senegal defender Koulibaly, currently one of the most coveted defenders across Europe, received these chants from Inter fans during their Serie A clash at the San Siro on Wednesday and was hurled such abuses throughout the game. Yo make matters worse, such chants only got more intense after the 27-year-old received his marching orders with ten minutes remaining for sarcastically clapping the referee. Inter won the game 1-0 thanks to a 91st-minute goal from Lautaro Martinez, but were punished with a two-game stadium ban, which means they will play their next of a couple of home games behind closed doors, with a third game having a ‘curva’ section, which houses the clubs ‘ultra’ fans. 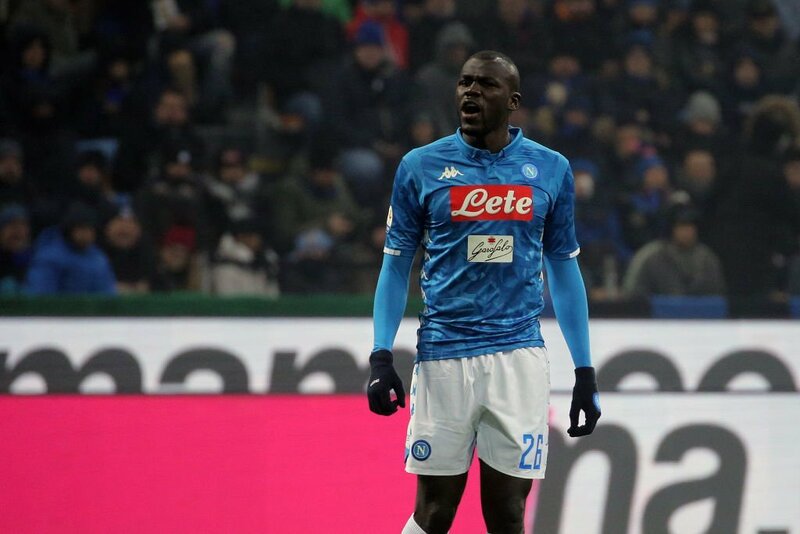 What has raised eyebrows and caused even more furor is that the 27-year-old Koulibaly was handed a two-game suspension for his sending off, casting a very disappointing light on the Italian league’s punishment system and overall attitude while dealing with racism towards its players. Juventus’ 5-time Ballon d’Or winner Cristiano Ronaldo to had this to say on Instagram: “In the world and in football I always want education and respect. No to racism and any offense and discrimination!! !” Bundesliga leaders Borussia Dortmund led the various clubs’ support for the player, drawing attention to their ‘Borussia Unites’ anti-racism campaign. Even supporter protests faced backlash, with one such samaritan snapped holding an anti-racist banner in blackface. Koulibaly himself later posted on Twitter, saying he was proud of his coloured skin and mixed heritage. Mi dispiace la sconfitta e sopratutto avere lasciato i miei fratelli! Però sono orgoglioso del colore della mia pelle. Di essere francese, senegalese, napoletano: uomo. It’s a shame that racism is such a big virus that afflicts football and it’s coloured players, even after so much has been said and written about the issue. Italy has been a hotbed for such abhorrent behaviour for some time now, and it paints a poor light on the league when they are unable to support the player and met out the deserved punishment to the accused and their clubs. The Reds to make space for RB Leipzig and Germany forward.